Suzan is an entrepreneur and a long-time meditator whose early journey led her to Nepal and India where for two years she studied closely with several renowned meditation masters. Like her husband Bart Mendel, Suzan has applied the profound benefits of meditation to a challenging business career. She founded and served as President/CEO of Clonetics Corporation, a privately-held biotechnology company that became the world’s leading supplier of normal human cell systems for research and industry testing purposes. 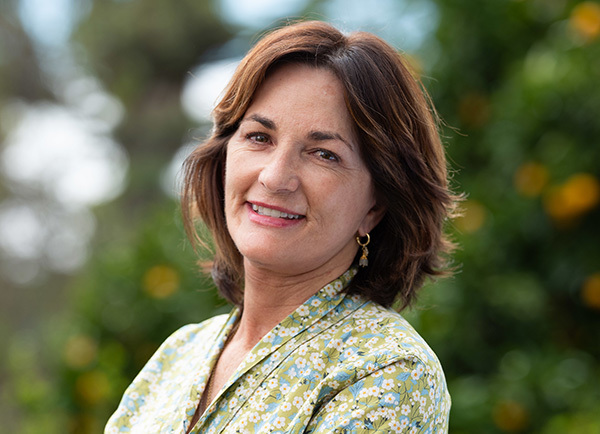 Following Clonetics’ acquisition by a publicly-traded company, Suzan, Bart and their two sons moved to Santa Barbara where she has served on various boards and committees that advance a number of causes including working with the homeless and promoting women to public office. Suzan earned an MBA from UCLA’s Anderson School of Management and serves as Mindworks Chief Relevance Officer.